Heucherella alba Bridget Bloom is a cross between plants in the Genus Heuchera (Coral Bells) and in the closely related Genus Tiarella (Foam Flowers). 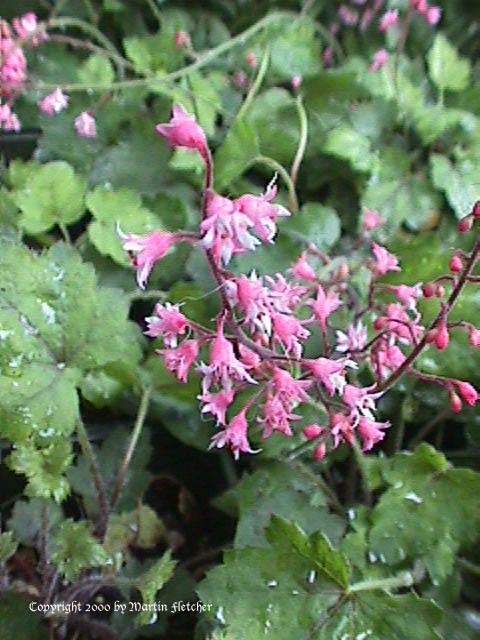 Heucherella stays low with the foliage coming up to about 3 inches and the flowers to 8 inches The flowers with their double pink and white flowers they are surprisingly different from their parents. Pink flowers of Heucherella Bridget Bloom Bridget Bloom Foamy Bells.